Since its establishment in the mid-1990s Clúid Housing has grown to become the largest housing association in Ireland, providing almost one fifth of the 27,000 homes provided to people who cannot afford to buy their own home or pay for private rented housing. 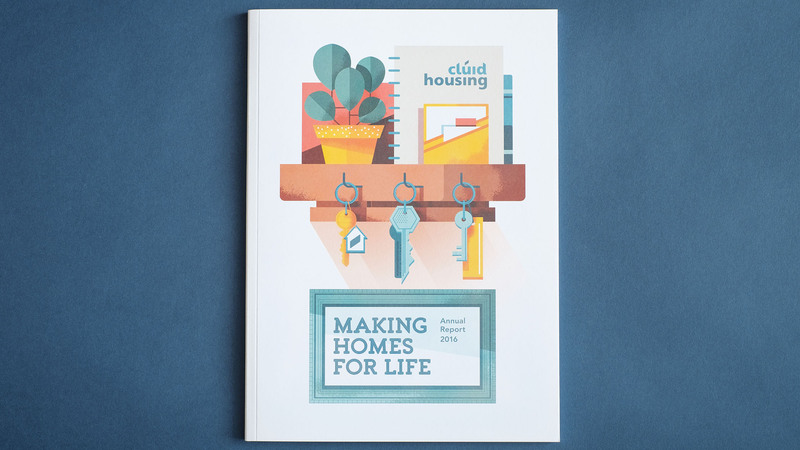 The key objective for the Annual Report was to reflect the success and professionalism of the organisation, while also articulating that, not only are Clúid the providers of much-needed sustainable housing around the country, they are also enabling their tenants to create secure homes for life. Clúid’s architectural team document all their developments, so we had access to an extensive library of imagery of new housing, showing them in a shell-like, vacant state. This prompted us to reflect on what makes these particular houses homes for their tenants (your own front-door key, framed pictures on the wall, bookshelves, etc.) 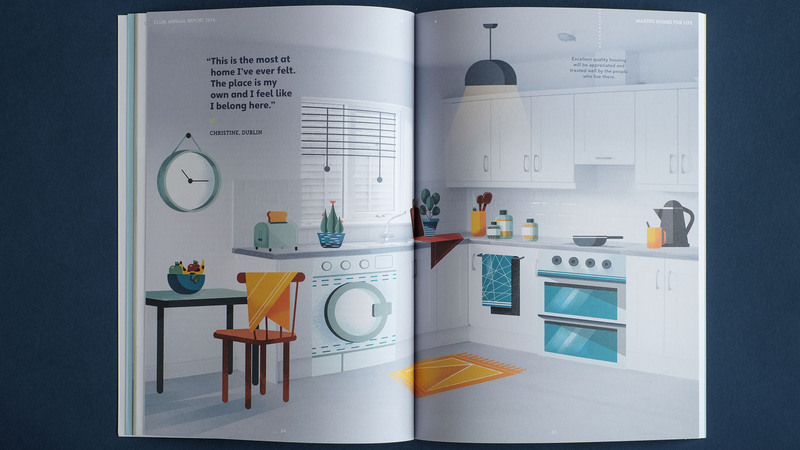 and devised an illustrative style, whereby illustration would be placed over photography, turning it from an empty state to space that represents a loved home. We interviewed Clúid’s clients about their treasured possessions before commissioning Maïté Franchi to illustrate the hallway, kitchen, living room and bedroom. Working with Clúid’s photography, Maïté filled the rooms with possessions (including kitchen appliances), giving these empty homes a sense of warmth and cosiness. 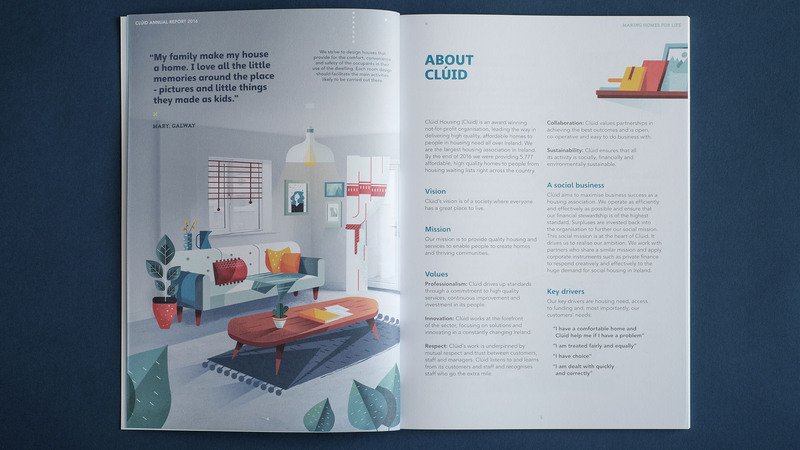 Additionally, colours from Clúid’s corporate palette have been woven into the illustrations. Maïté also worked with us to create distinctive pie charts, to work with the clean and accessible text layouts.